In 95% of the cases, when we look at a feminine character on the Romanian theatre scene, what we really see is a masculine perspective – women’s stories told by men. What if we try to find out what women have to say about themselves? This is the starting point of the subject which the first edition of the Bucharest International Theatre Platform is based on – The Future Is Feminine. 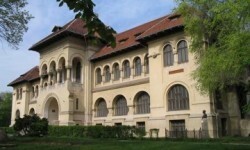 At its first edition, the Platform takes place during November 13th-16th in Bucharest and brings together, in the new cultural spaces of Gabroveni Inn, theatrical productions from the UK, Poland and the US, film screenings, debates on feminist issues and a celebration of the local talent, through an Ibsen based national casting. Ibsen National Casting is the first phase of the project “Hedda’s sisters Empowering Women Theatre Artists in Romania and Eastern Europe”. Why “The Future is feminine”? 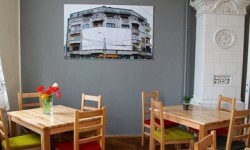 The feminine profile is merely a shadow in the Romanian public space. The Romanian public space is traditionally opposed to the idea that a woman can or should have access to important decision making positions - unless they have accepted the mainstream masculine viewpoints. Fortunately, there are inspiring exceptions out there, but they are merely confirming this rule. In many cases not even women - especially those who are given a chance to climb the social ladder - are aware of the implications. They too are among those who do not believe women deserve more and have more things to say than they are allowed to. This model is unfortunately very popular in the artistic area too, where 95% of the decision makers are men, even though both staff and artistic teams in the theatre for example are composed mostly of women. Also, almost all directors are men, which is why when we watch a feminine character on a Romanian stage it is likely that we are confronted with a masculine point of view. On the Romanian stage women’s stories are told by men. But this is not the case on the Romanian stage only, it is a situation that one can find - even though less obvious - on the European stage too, and even on the American one. 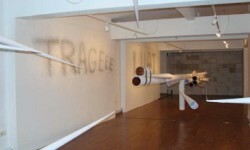 Thus, it may seem an utopia to believe we can easily reverse this situation, but we can at least open up a conversation on these issues, which is exactly what we are trying to do together with our guests from UK, USA and Poland over four days of theatre shows, film screenings, artist talks and casting for actresses. 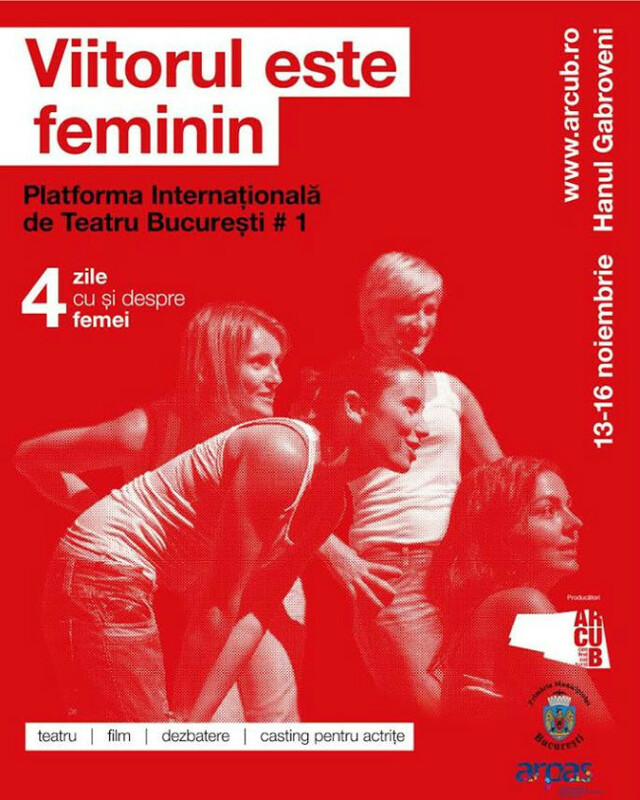 The aim of this first edition of Bucharest International Theater Platform “The Future Is Feminine” is to share women’s stories told by themselves. Further on, it is up to each and every one of us to bring back some of it into the everyday life. The event, produced by ARCUB – The Cultural Centre of the City Of Bucharest and ARPAS, in partnership with the British Council and the Polish Institute, and supported by Ibsen Scholarship, will be organized every year and aims to cover the lack of international shows in a city that wants to be a real European cultural capital. The full program of the BITP #1 is here. The ticket price is 25 lei.